Donald Locke (1930-2010) was born in Guyana and travelled to the UK to study art. 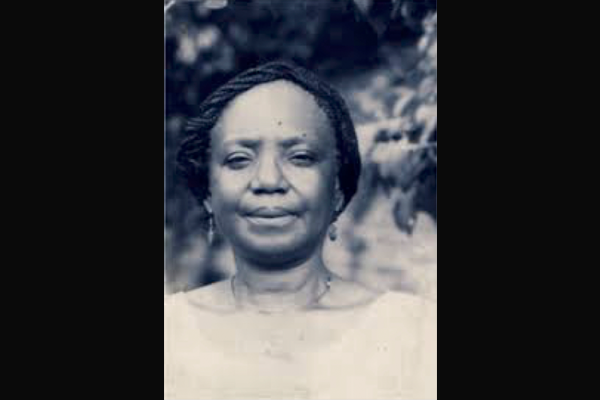 In 1954 he received a British Council Scholarship to attend Bath Academy of Art, with the Guyana Ministry of Education later awarding him a scholarship for Edinburgh College of Art in 1959 (Donald Locke, n.d.). Studying at the Working People’s Art Class (WPAC) in Georgetown, Guyana during 1947, Locke improved his drawing skills under the tuition of local artist E.R Burrowes. Inspired by Burrowes, Locke himself went on to obtain a Teacher’s Certificate from the Guyana Ministry of Education in 1950. Locke’s subsequent education at Bath Academy of Art saw him obtain certificates in Teaching Art Education combined with Visual Arts (equivalent to a BA). He worked under potters and sculptors which had a lasting influence on his bronze and ceramic work (David Locke, n.d.). These certificates allowed Locke to return to Guyana to teach art, specifically at Dolphin Government School and WPAC. In 1959, his son Hew Locke (also an artist) was born in Edinburgh, the same year that Donald Locke himself began his MA honours degree in Fine Art at Edinburgh College of Art (ECA). Meeting American artists at ECA, combined with the new “clay movement” arriving in Britain and the link between New York abstract expressionism “makes an impression” on Locke (Donald Locke, n.d.). Donald Locke’s work explores themes of heritage and the post-colonial mainly through the medium of sculpture, but also through working with painting and ceramics. His work Plantation Series, inspired by the “California Clay Movement” explores his upbringings; the village in Guyana where he was born was situated between two sugar cane plantations (Donald Locke, n.d.). When speaking of the series, Locke himself explained that “forms are connected together, as if with chains, within an arrangement of metal bars and grids” (Diaspora Artists, 2016). The series consists of five sculptures created between the period of 1972-1976, includes a variety of materials such as fur, wood, carpeting, steel, perspex, dried grass and of course, ceramic. The aggressive composition of the sculptures – the hard materials and dark colours, speaks to the nature of the subject matter. Locke is not interested in conveying aesthetically pleasing sculptures that the viewer can easily consume, but instead is influenced by the harsh realities that exist within history. Trophies of Empire, recently acquired by Tate Britain, is another work that combines the intertwined history of Britain and Blackness. What does it mean to be both Black and British when acknowledging the history of empire and slavery? The Blackness that comprises the trophies almost seems to be a metaphor for the ways in which Black Bodies have been used throughout history without any appreciation, with Locke giving recognition to them as celebratory trophies. It can also be read as a metaphor for the ways in which Black Bodies have been narrowed down to their physicality’s -materials like ceramic, wood, metal, glass have a degree of strength to them that can be attributed to the structure of Black Bodies, seen as inhumane and unbroken, they exist in space as objects. 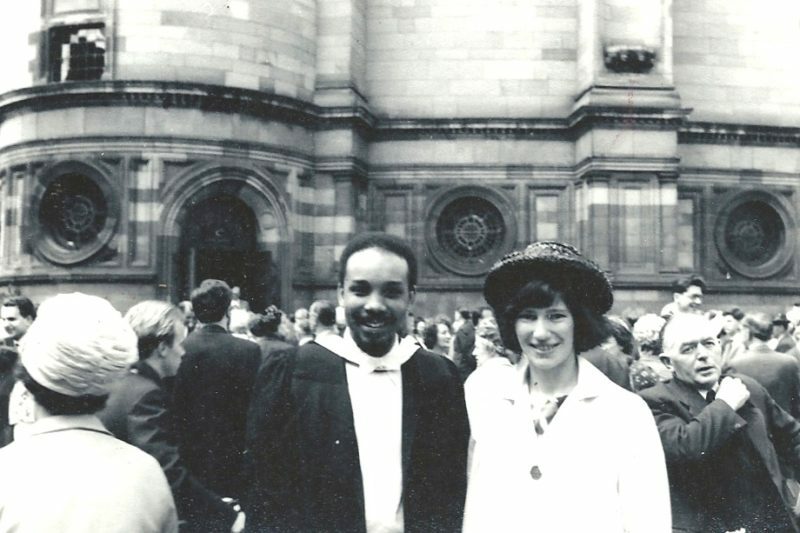 Donald Locke’s contribution took various forms in growing the Caribbean community in Edinburgh. Aside from his art and curational duties, he played in a calypso band, including performing on Friday nights in the basement of a building on George Square (Map Magazine, 2017) His second child Jonathan Locke was born in Edinburgh in 1962, and during this Locke receives a grant for research in Italy for one year. Locke curated an exhibition the West Indian Federation Commemorative, which saw him travel to London to obtain one of Frank Bowling’s pieces (Donald Locke, n.d.). After curating exhibitions from 1966-68, Donald Locke was sponsored by British Council Bursary to study ceramic research in 1969, leading to an exhibition of paintings by Queen’s College students in Edinburgh (Donald Locke, n.d.) Locke played a very important role in bringing Caribbean communities together in Scotland, and went on to organise an exhibition by students he had taught in Guyana towards the end of this decade (Map Magazine, 2017).